Our 10 phase service reform process explores key design principles and identifies success criteria and related resources for each element of your transformation journey. 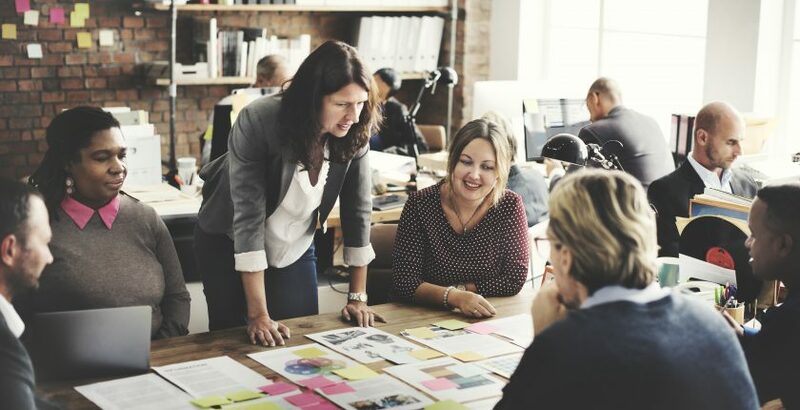 There is no set process which a group of partners must follow in order to undertake service transformation but there are some common activities that partners will need to work through. This approach outlines those activities. Building on the approach developed by Whole Place Community Budget pilot areas our Service Reform Approach now includes the key elements of the Design Council Double Diamond model for service design. The 10 phases are framed by a set of principles. This type of complex change isn’t a linear process. Sometimes you will need to return to a phase you have already completed. 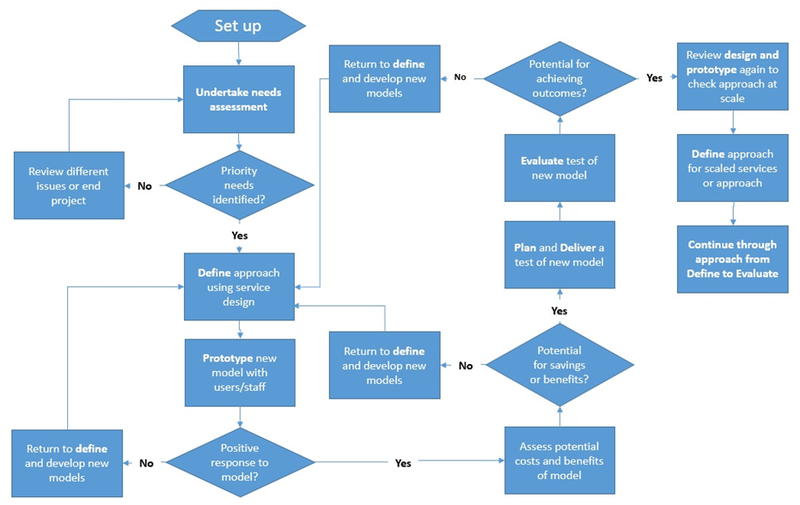 This process flow aims to demonstrate how a project or programme may go through a number of iterations of the above phases. Our maturity model takes you through each of the activities in the 10 stages, helping you understand the vital activity required at each stage. It can be used for planning or to review progress.